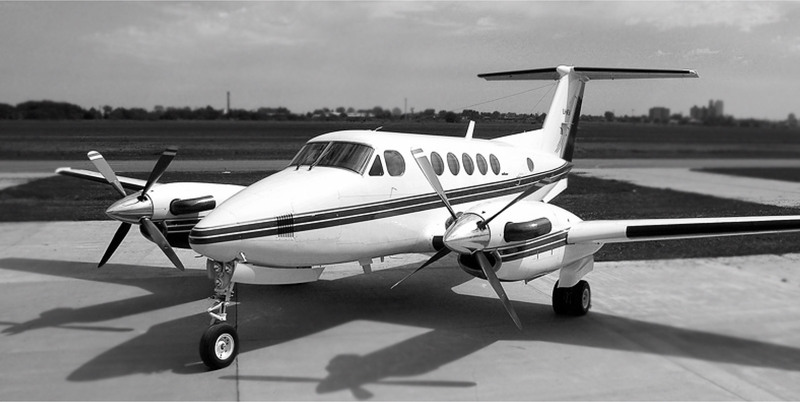 The King Air 200 is a continuation of the Super King Air family, seating 9 passengers comfortably. 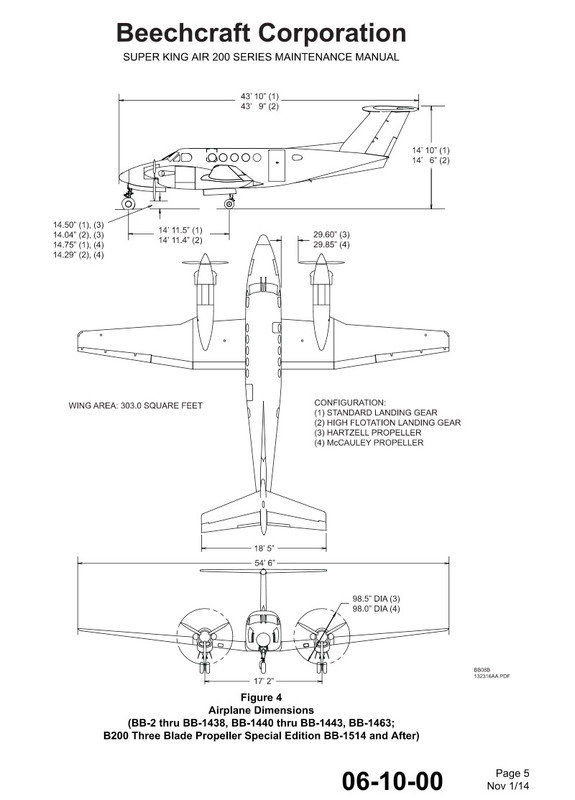 This all metal low wing, twin engine turboprop plane, features retractable landing gear, the distinctive T- tail, more powerful engines, greater wing span, increased cabin pressurisation, greater fuel capacity and higher operating weights. Twin 850 horsepower Pratt and Whitney PT6A engines deliver increased power, reliable performance and low operating costs. Due to the inertial separators preventing the engine inlet screens from choking with ice and preventing the engine from ingesting foreign objects on undeveloped runways, the aircraft is very versatile and can be used in extreme conditions. A strong undercarriage is well suited to dirt strips as well. The Cabin is very versatile allowing you to configure this for your needs. The interior can be modified into an air-ambulance, or a spacious 9 seater passenger commuter. Alternatively the seating capacity can be reduced to accommodate extra storage space. 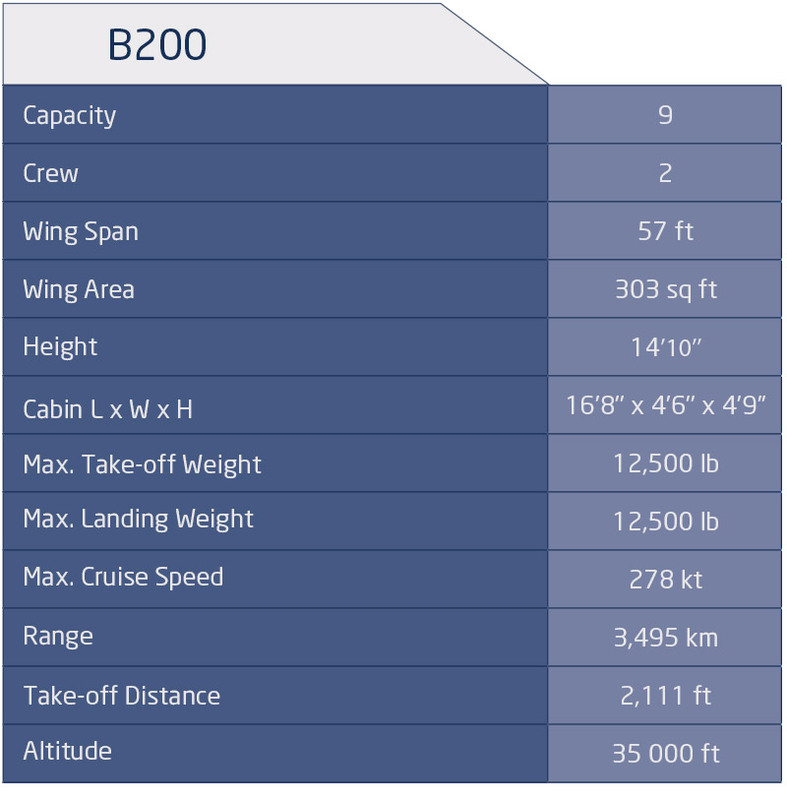 The B200 is a high performance & versatile plane that offers great reliability and safety with low operating costs.